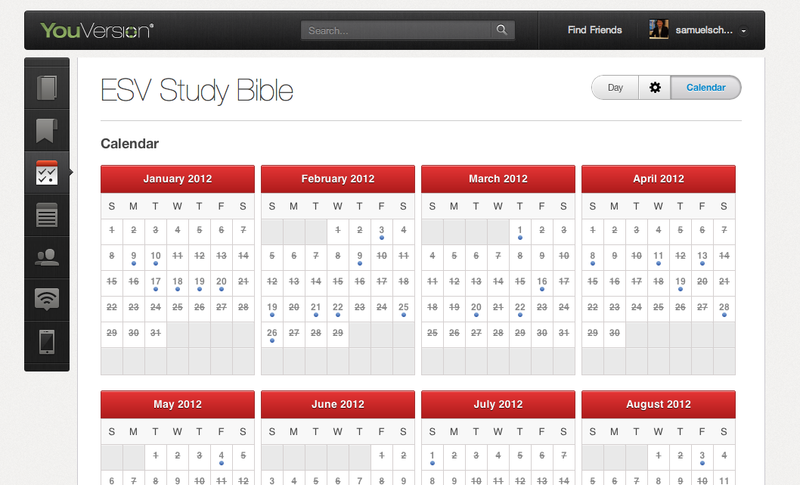 Above is a screen shot of the YouVersion ESV Study Bible reading calendar I began at the beginning of this year. The dates with the circles below indicate either all or sections of reading is not complete. Growing up in a Christian home, I read the Bible since I was little. I read the Bible as a homework, to do well on the Bible quizzes at Sunday school and to make my parents happy. However, when I became a Christian during my 6th grade, the motivation for reading the Bible has changed. I wanted to read the Bible to know God. Moreover, this desire to know God led to a journey of reading Bible from informative to interpretive and from interpretive to transformative throughout my life. During my teenage years, I read the Bible to increase my knowledge of the Bible content. I committed to topical memory system from the Navigators during my high school days out of a desire for spiritual growth. I went to college and discovered the “systematic theology” that helped organize my biblical knowledge and Christian experience to the degree where I wanted to train others to make the connection. So I pursued a theological education in seminary to be trained in correctly interpreting the Bible content. I believe that both informative and interpretative reading of the Bible led me to the transformative reading of the Bible during the last decade, especially after getting married and having children. I have been a Christian almost 30 years and read the Bible on a daily basis. By God’s grace, I do find more desire to read the Bible in all three aspects: informative, interpretative, and transformative. Yes, my Bible reading schedule is incomplete, but I thank Jesus for the sense of completion I receive in him who fulfilled the Scriptures. In that sense, I desire to go back and catch up with the readings that I missed. YouVersion is one of the best Bible reading tools. It offers many Bible reading schedules and sync options with your devices (computer, smartphone, etc). If you have children who are early to middle elementary, I highly recommend reading the JesusStorybook Bible and its curriculum.